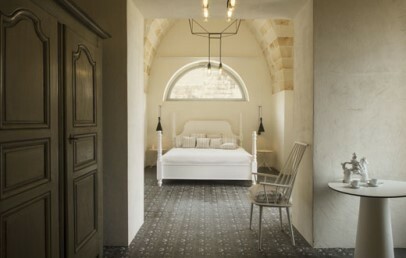 hotel to all those wishing to experience the authentic hospitality of Puglia. 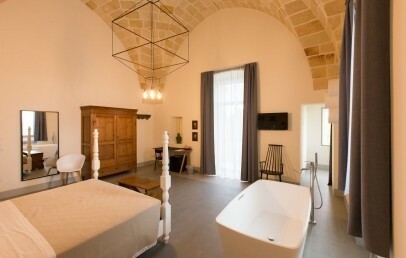 Surrounded by olive groves and vineyards, the Vinilia Wine Resort is located in Manduria, in the heart of the Salento area. 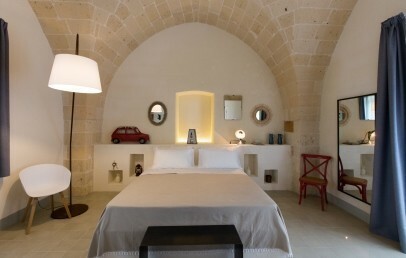 The resort is strategically placed between the cities of Brindisi, Lecce and Taranto, making it simple to reach the coast and also the Valle d’Itria and Murgia. 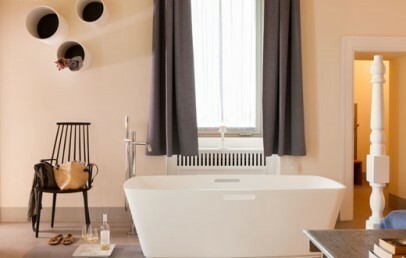 The outcome of painstaking restoration, the Vinilia Wine Resort has managed to imbue with new life an ancient residence dating from the start of the last century, at one time the country home of the noble family Schiavoni. 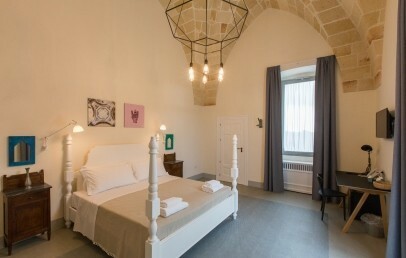 The austere exterior of the castle reveals in the interior stylish family rooms, in which the stern stonework is softened by a lively collection of designer objects, antique items and furniture made by local artisans. 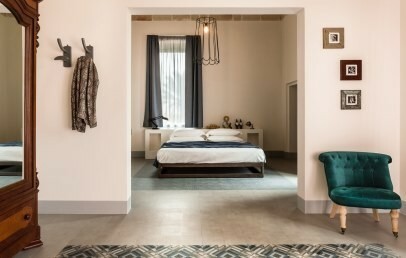 The resort’s 18 rooms are a stylish homage to the Mediterranean soul of a land whose richness lies in its cultural diversity. 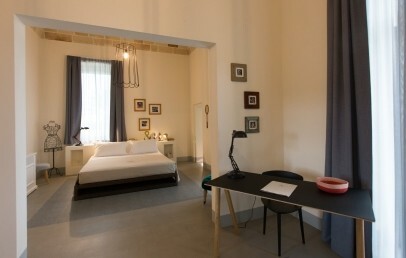 Unique, comfortable rooms, all offering beautiful designer elements and large windows that look out over the surrounding countryside. Set against an appealing backdrop, the Restaurant Casamatta offers a food experience with its roots set deep in the traditions of the Puglia region. The best local ingredients are the leading players in the menu of Chef Pietro Penna. The restaurant itself is pleasingly informal, with tables in different styles, chairs of north European taste, innovative light fixtures and a large fireplace in weathering steel produced locally. The price of your stay includes use of the internal parking area, the pool and common areas, Wi-Fi connection and pool towels. Guests can request a baby cot with no extra charge. Payment of a supplement guarantees guided tours, food and wine trips, excursions on sailing boats, horse trekking, push bike rental, transfers to/from the airport, use of an equipped beach and shiatsu massages. The room is located on the external side of the ancient House. It is characterized by the typical salentinian vault. 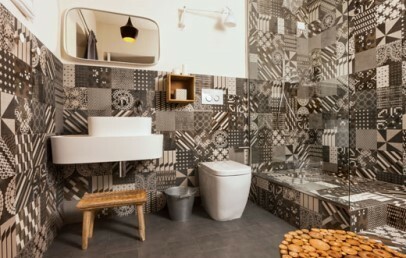 It is comfortable and furnished with refinement and attention to details. Situated on the ground floor, it offers a lovely view on the large court. It has a double bed and a bathroom with shower. Outside the room there is a patio overlooking the garden of the Resort where the guest can enjoy his breakfast. Every room is located on the external side of the ancient House. They are all characterized by the typical salentinian vault. 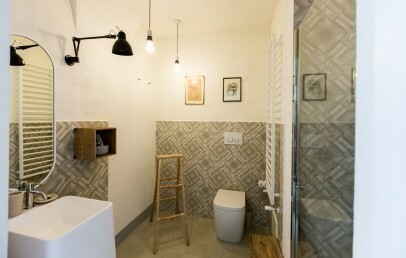 Large and bright rooms are furnished with refinement and attention to details. Situated on the ground floor, they offer a lovely view on the large court. 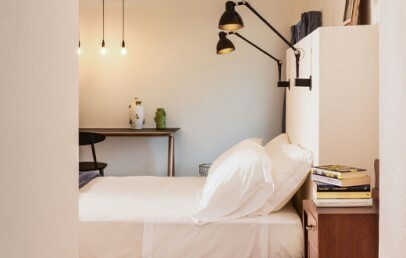 They are equipped with a king bed and a bathroom with shower. Outside the rooms there is a patio overlooking the garden of the Resort where the guest can enjoy his breakfast. 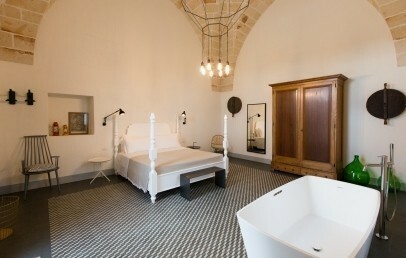 These rooms are all located in the central ancient House reminiscent of a small medieval castle. 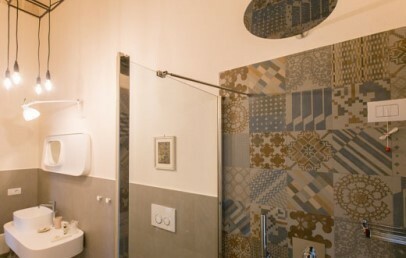 Spacious, comfortable and furnished with refinement and attention to details, the Superior rooms are elegantly decorated with the popular Grottaglie ceramics. One of these rooms is on the ground floor and overlooks on the courtyard; another one has a spacious terrace on the first floor. 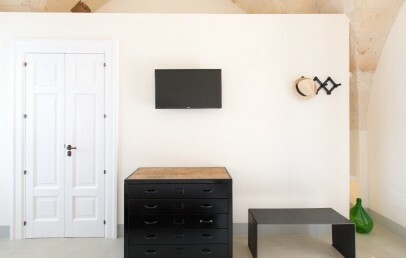 The remaining rooms are located on the second floor and you can access there throughout a special staircase. 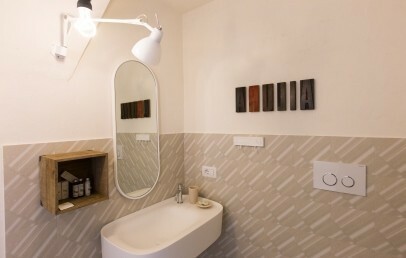 All the rooms are equipped with a double bed and bathroom with shower. 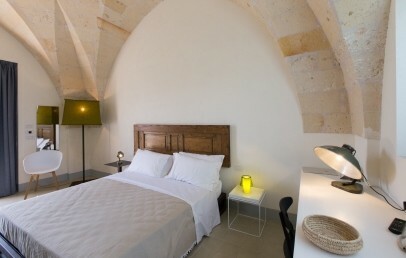 Junior Suites, located in the historic central structure are both characterized by the typical salentinian vault. 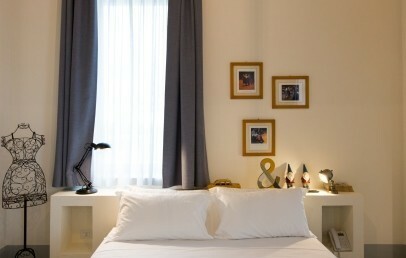 They are very spacious and bright, comfortable and furnished with refinement and attention to details. 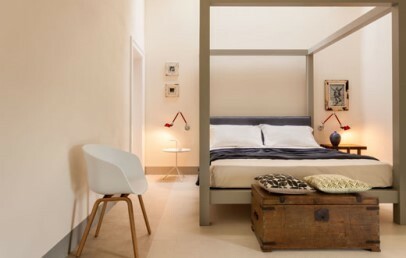 They have a double bed (is it possible to add a 3rd bed) a bathroom with shower and a bathtub in the room. 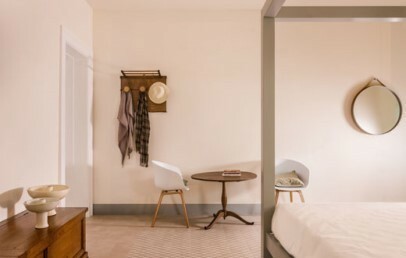 One of the Junior Suite overlooks the ground floor and offers a lovely view of the large courtyard of the Resort; the other one is located on the first floor and has a private terrace where you can enjoy your breakfast. 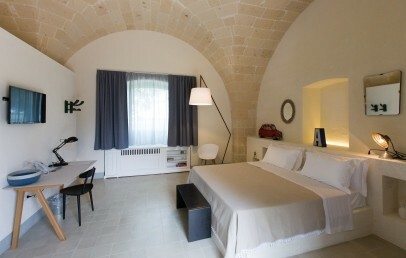 The Junior Suites are spacious and bright and are situated inside the ancient House and are equipped with a double bed and a bathroom with shower; one of them is located on the first floor and opens onto a large terrace, the other one is located on the second floor. The white walls and the mix of design elements and precious antique furnishings create a refined and welcoming atmosphere and are the expression of the constant attention to the details. 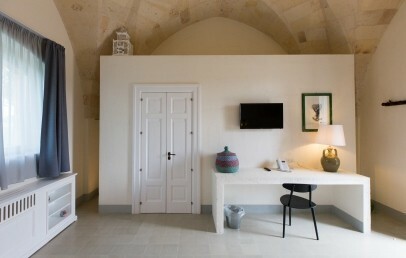 The Suite with the typical salentinian vault is the most prestigious of the Resort. Located on the first floor it has a living area with a sofa in the same room. Large, bright and well finished the Suite disposes of a private location and a large master bedroom. Elegantly embellished with design elements and antique furniture it is studied in perfect details. Equipped with a double bed and a nice bathroom with shower it has a private terrace for a relaxing stay and perfectly fits with the emotional scenery surroundingthe Resort. 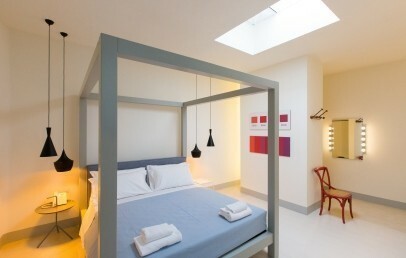 Long Stay - for stays of at least 4 nigths, a further reduction! Advance Booking Rate - Book at least 90 days in advance and get a 10% reduction on your stay. 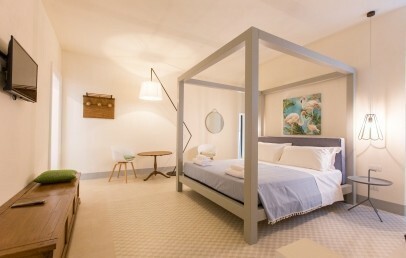 Only for Charming customers: welcome drink on arrival + 15% reduction (stays form April 20th to 23rd, minimum stay 2 nights). The rate is a non-refundable one and the total amount of the stay is to be paid upon confirmation. Guided tasting of 3 wines! Easter lunch € 60 per person, drinks included. Easter Monday brunch € 50 per person, drinks included.